Host Katy Perry attends the 2017 MTV Video Music Awards at The Forum on August 27, 2017 in Inglewood, California. Katy Perry brightened up her beauty look with a swipe of pink eyeshadow. Katy Perry looked festive with her oversized gold hoops. 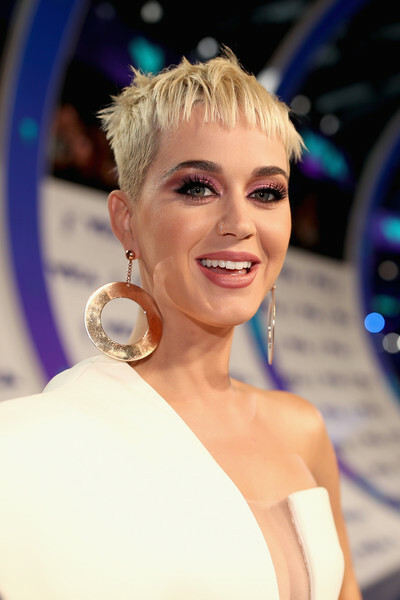 Katy Perry worked an edgy pixie at the 2017 MTV VMAs.